Schreiber | Vector Process Equipment | Spiral plate heat exchanger. 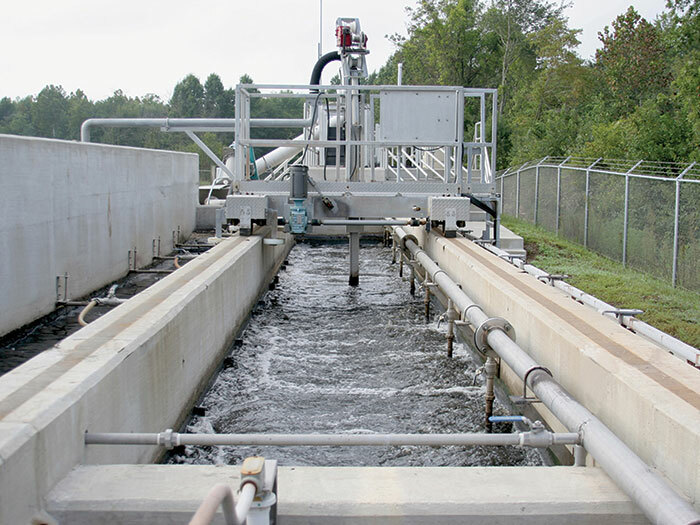 Schreiber LLC offers individual wastewater components, complete systems, and a wide range of energy-efficient and innovative wastewater treatment solutions, from influent to final discharge. With the highest quality fit and finish, Schreiber’s durable systems help achieve low operating costs while consistently meeting or exceeding their customers’ expectations. Schreiber now also provides solutions-based approaches to the food processing, pulp and paper, power, mining, oil and gas, and chemicals markets. For more information please visit their website. The Schreiber Fuzzy Filter is an innovative and cost effective compressible media filter for water and wastewater treatment systems. The Fuzzy Filter system is compact, modular, and easily adaptable for numerous applications. The Fuzzy Filter, operating in an upflow design, achieves an exceptionally high rate of solids removal through the use of compressible synthetic fiber spheres. The low density and high porosity of the media result in more solids captured per volume of media. Because the filter media is compressible, the porosity of the filter bed can be altered to suit influent characteristics. 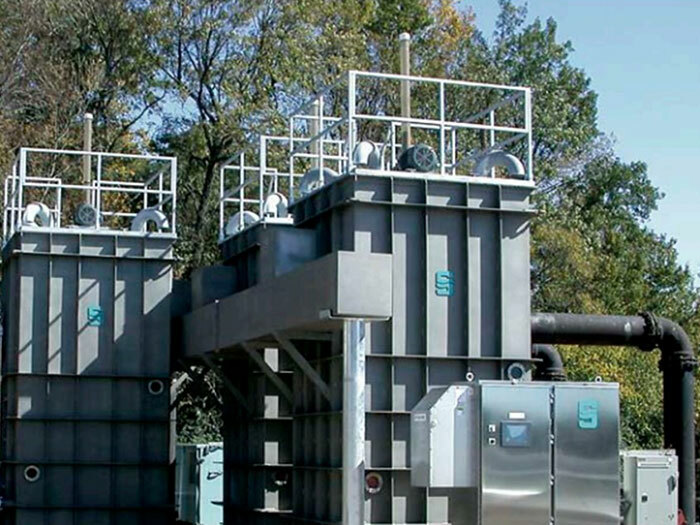 Schreiber’s Model SFB Grit & Grease Removal System consists of a rectangular concrete channel with two (2) parallel chambers.The rectangular design provides efficient removal over a wide range of flows. The deeper chamber is for the settling of grit and in the other chamber grease floats to the surface for removal. The operation is automated with a PLC control for maximum operating efficiency. 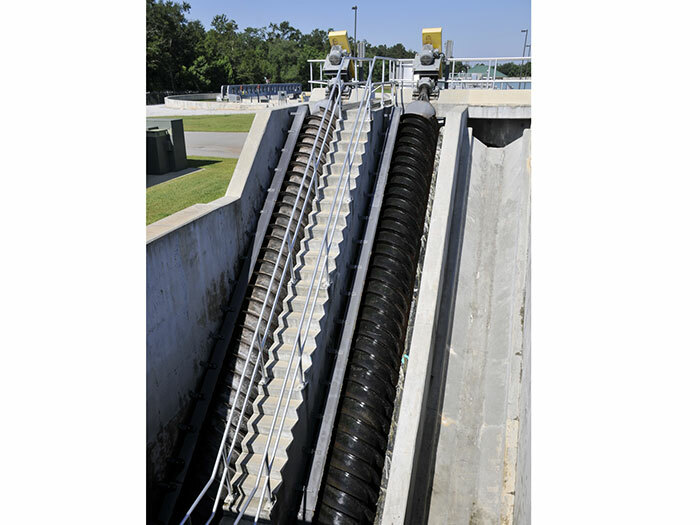 The Open Flight Screw Pump uses the classic Archimedean design, transporting liquid using an open concrete trough. The most common pump style in use in municipalities across the country, the Open Flight Screw Pump is the right choice for high-volume operations. The Tube Mounted Screw Pump, with its simplified design, transports liquid inside a stationary tube, eliminating the need to build a superstructure and pay for grouting. This pump offers both fixed and variable angle operation, with the lower end supported by a hoist to vary the pump angle. This allows users to change the pumping rate, while providing easier access for maintenance. The heart of Schreiber’s high-rate flotation system is the micro-gas bubble emulsion (MGBE™). Micro-gas bubble emulsion employs surfactants of varying charge (anionic/cationic) and high shear to form the bubbles. 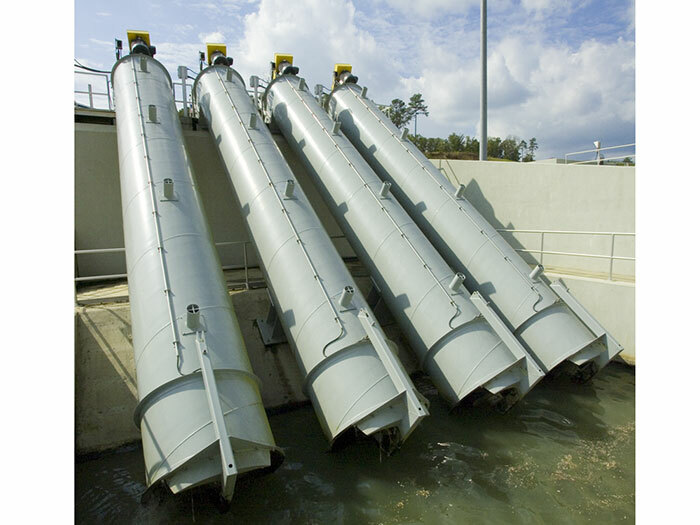 Since the MGBE carry a charge, a reduction in the chemical usage to condition the influent process wastewater can be reduced by as much as 70 to 80%. 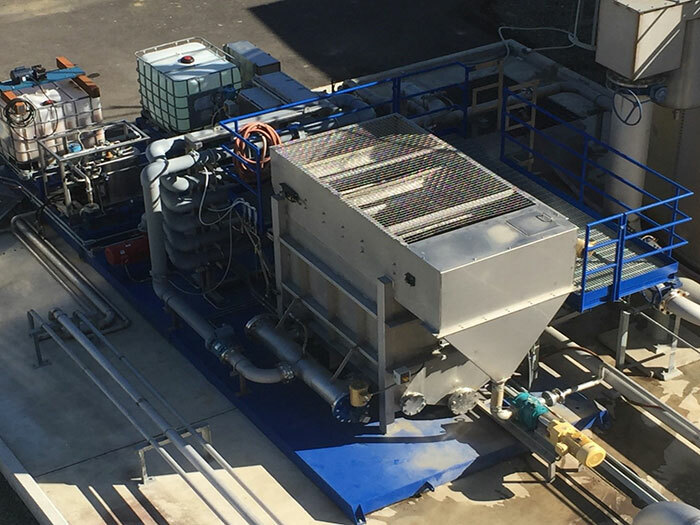 MGBE flotation systems carries with it several benefits like a smaller overall equipment footprint due to its higher hydraulic loading rate.